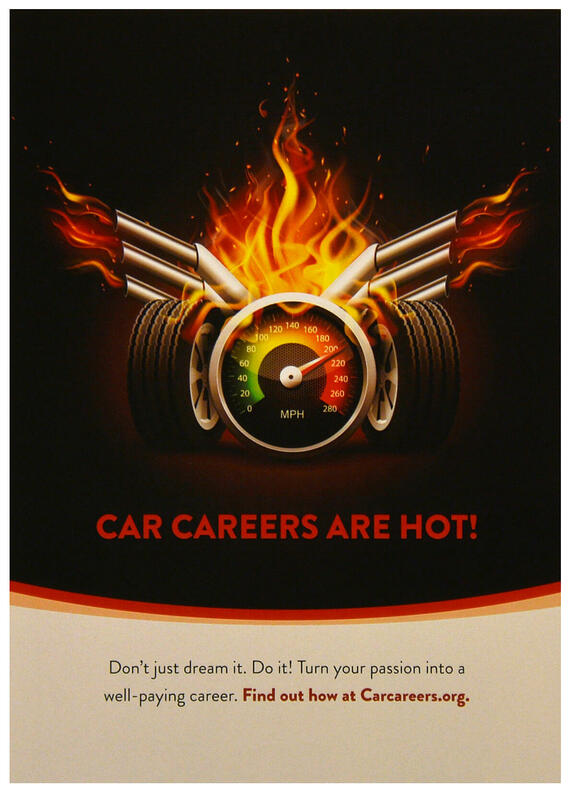 Share your passion for the automotive service and collision repair industry by becoming a Motormouth for carcareers.org. 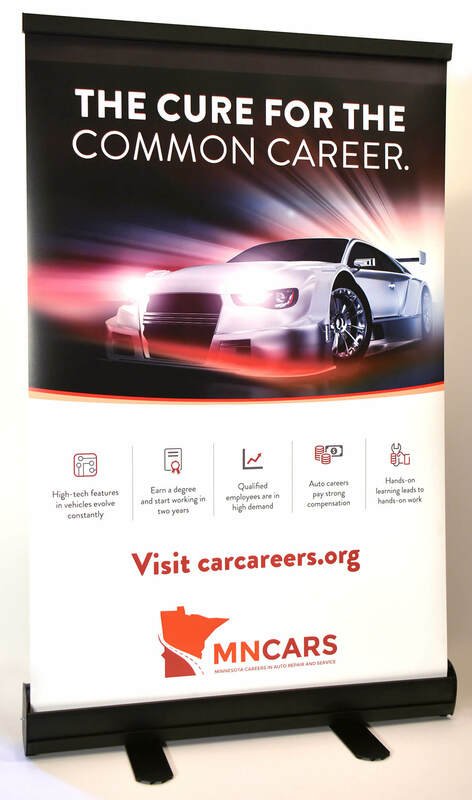 As an industry member, you can help raise awareness of the rewarding career opportunities and education programs in the automotive field. We’ve developed the following toolbox to help you get active in your local community and ensure that the industry – and your business – has the qualified employees it needs to prosper and succeed. Props and handouts to participate in career fairs and events in your local community. 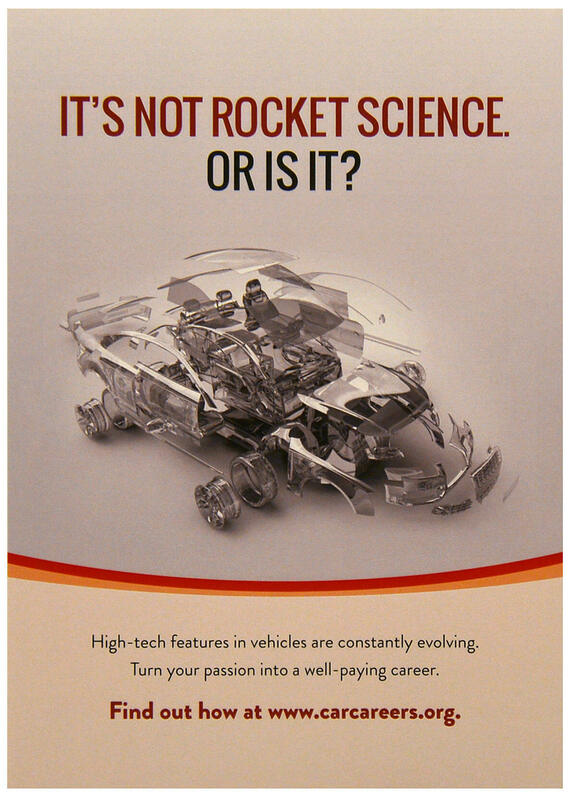 A PowerPoint presentation (with video) that outlines the many career paths and opportunities in the automotive industry. We’ve included a presentation outline that gives you talking points and suggestions for each of the slides, along with best practices for presenting. 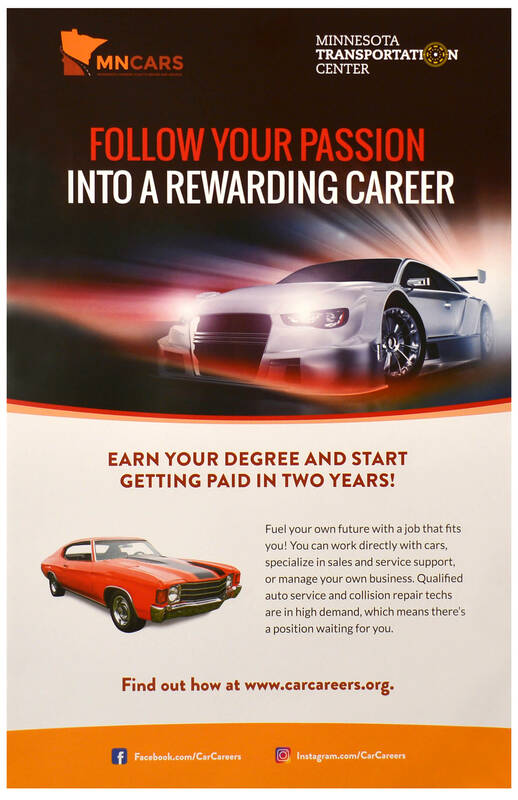 Career promotion materials to display at your front counter and/or waiting area and window cling for your door or window. Digital and social media posts that reinforce and spread the message about industry careers. Tips and suggestions for ways that you can contribute and help alleviate the workforce shortage. The time commitment to be a Motormouth is nominal, yet the rewards are great. The more industry members that are involved and engaged in this effort, the greater our reach will become. So, check out the resources below and put them to work in your own community! P.S. Please share this site with your industry colleagues and others in your sphere of influence to make our message heard even louder. Just click on the drawer to see the materials inside! Most high schools and even some middle schools have regularly-scheduled career fairs to expose students to education and career opportunities after high school. It’s common for local chambers of commerce or other business/community organizations to sponsor these types of events, as well. Local car shows are also a great way to reach automotive enthusiasts and promote industry careers. To request these items for an upcoming event or career fair in your area, click here. Presentation Tips & Best Practices – provides tips and best practices to make the most of your presentation. Lots of people come through your doors each day. Why not take the opportunity to educate them and let them know that the automotive service and collision repair industry is a great place to work? To order these items for display in your shop, click here. Use your social media accounts to be a Motormouth for www.carcareers.org. By utilizing the following digital and social media tools, you can help spread and amplify our message about the rewarding and varied career opportunities available in the automotive service and collision repair industry. Send a friend request and we’ll like you, too! To show your support and participation in the Motormouth program, please consider adding the Motormouth logo to your website. 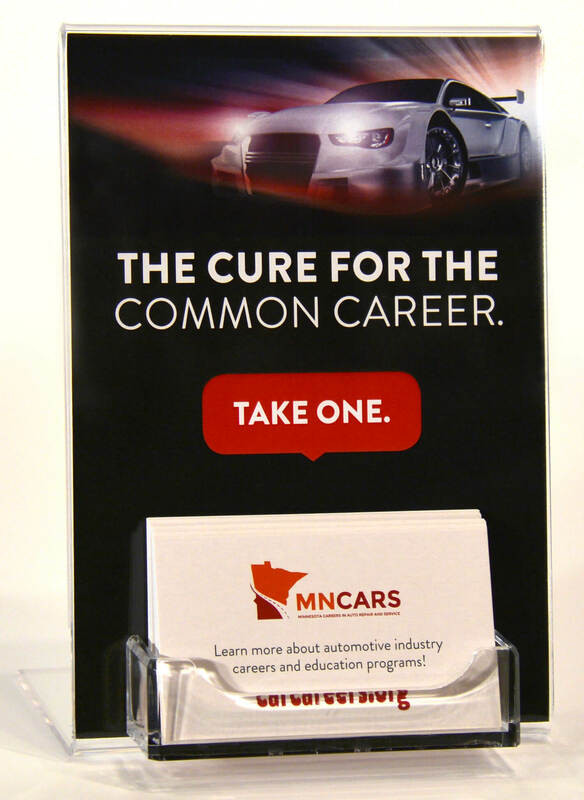 The logo will be linked to the MNCARS website. Here are a variety of social media posts for you to utilize on your own personal and/or business channels to encourage others to consider education programs and careers in the automotive service and collision repair industry. Feel free to adapt them as needed to fit your channel and voice. Sit on the auto program advisory board at your local college or high school and offer your vision for student outcomes and curriculum development. Talk with school counselors and administrators about the importance of career and technical education. Invite students and young adults to “shadow” you for a day to get a real-life perspective of a “day in the life” of an automotive professional. Bring industry partners into the conversation; work with your suppliers and manufacturers to support an automotive program by donating equipment, materials, or classroom assistance time. Educate your elected officials about the critical need for Career and Technical Education (CTE) and workforce program funding; call their offices or write a letter. Use social media. This popular platform is a great way to promote why people should consider choosing the automotive service and collision repair profession. When possible, add photos and video for added impact. Promote technology in the trade. Advancements in new vehicle technology are perfectly suited to today’s young people. Show career growth opportunities; the automotive industry not only presents prospects for technicians, but encompasses multiple career paths, such as service advisors, estimators, parts specialists, managers and small business ownership. Support and promote industry scholarship programs, including AASP-MN and www.automotivescholarships.com.